About the NeedleNerds ~ Fun Food Life! I also post meeting reminders to Twitter. 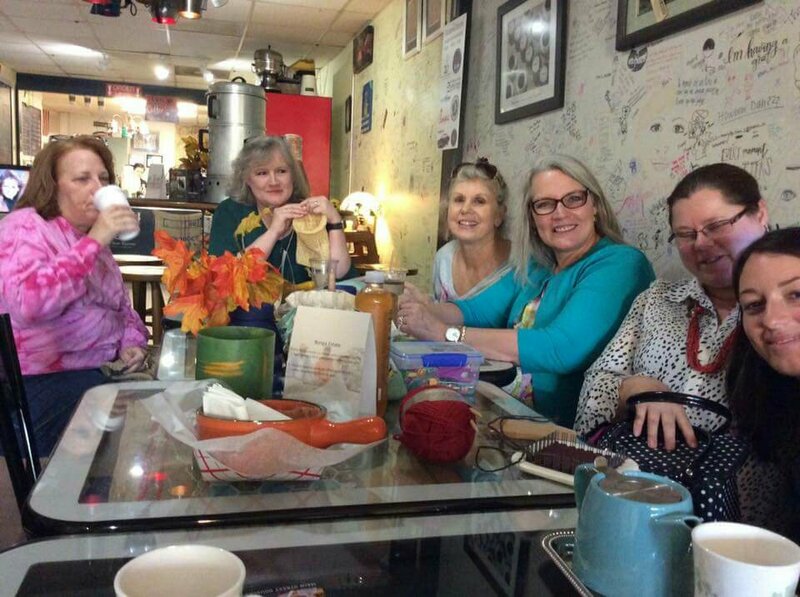 We meet at the Coffee Fever Roasters, 7475 Douglas Boulevard, Douglasville, GA. Our meetings are informal and casual, so just grab a chair and join in on the conversation. Connect with us on Twitter and Ravelry by clicking on the icons below. You can receive email updates and announcements about the NeedleNerds by completing the form below and clicking the subscribe button. If you decide later to stop the emails, you can select the unsubscribe link that is on every email you receive. Not send you a bunch of junky emails.